So you'll need 40 hours to buy a Mauser Pistol? You can't even buy a Bow with that... and I'm not even talking about insuring your horse. Let me give you an example of overreacting: one of the best rifles / guns in GTA Online is the Special Carbine and it costs in game 14,750 GTA$. If you do ONE deathmatch (10 minutes) like Farmhouse Fracas with a full lobby you'll earn over 30,000 GTA$. See the difference here? Right but the relative power/value of a gun in GTAO is a lot lower, the real big ticket power items are multimillion dollar vehicles and real estate. What I mean by overreacting is this: people are, at most, on day 3 of a beta. ~$120 isn't bad for the first few hours. Why not assume that one 's earning potential will increase as they progress like it does in GTAO? If earning power never increases then I agree that we'll have a problem, but right now I think its just too soon to jump to conclusions. Played a series using freeaim. I did poorly as can be expected. But I did earn $15 from one match. Three times the amount I earn from an average match when using aim lock. Try it an see what payout you get. I have to agree somewhat with that--Rockstar might have been hesitant of just how much players can/might make in-game, and chose to price things too low until they had a better idea of how things turn out. However, I think they went a bit too far in terms of creating an understandable firestorm of player's first impressions. Like anything in life, those first impressions are important. Things like nerfing the NPC population, the shoddy, laughable character creator, in-your-face paywall, leaving radar blips on all the time, etc. has taken much of the appeal out of an otherwise potentially incredible multiplayer experience. Things like nerfing the NPC population, the shoddy, laughable character creator, leaving radar blips on all the time, etc. has taken much of the appeal out of an otherwise potentially incredible multiplayer experience. Another game using free aim. Was a fluke. I’m back to average poor payout. Oh well, as long as the game is fun, it’s fun regardless. What I'm talking here it's basics like the bow and the rod and I'm using the most expensive weapon as benchmark. There's no gun in Ammu-Nation that costs so much in proportion. 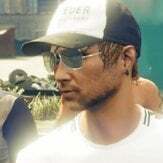 The most expensive weapon is the homing launcher (75,000 GTA$) which you can get within 30-45 minutes of Gerald missions. 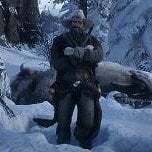 How much time do you need in RDO to buy the most expensive weapon? Also, in GTAO I can be a low level and grind Pacific Standard heist to get the necessary amount fast. Maybe they'll add some mode that allows you to do the same in RDO. Anyway, I understand your point: in GTAO to make real money you need to be CEO/MC and for that you need to grind for an office or club. Having microtransactions in a game like this is like having it in a game of poker where if you are short an Ace, you can just buy one and add it to your cards. It makes no sense from the gamer's perspective. They completely undermine the game. 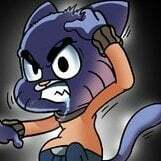 If I'm fighting head to head with another guy and he annihilates by using weaponry that he bought through microtransactions. How am I supposed to feel about that? How can I rate him as a player? Is that supposed to be immersive gameplay? If Rockstar was true to their word and microtransactions were limited to purely cosmetic items only, then I'd say go for it. But we all know that's never going to be the case, because they can't tempt enough players for even two years with interesting new content if it's truly relevant to a plausible wild west setting. Won't somebody please think of the multi-million-dollar corporation?! How on earth can you defend the shameless price hike from single player to multiplayer? It's the same game, set in the same area, in the same period, with the same core mechanics and gamepley, as the singleplayer game - but weapons cost literally 8-10x more. I don't mind paying 1000$ for a gun as long as it has ridiculous gold price too. Anyway you're going to earn A LOT more before you actually rank up to unlock it. You guys keep crying in that thread about R adding premium currency. Boo hoo. That's how real world works. People want money and you can't do sh*t to prevent this. Honestly, I would be fine with the prices if all we could buy in the game FOR THE WHOLE DURATION of its lifetime was what we already got. But it's not the case here, Rockstar will keep releasing DLCs which will cost likely even more money than the current items do. At least in GTA Online you could manage to buy stuff provided you set up all the businesses, here you can't even do that, you literally have to grind mission after mission in order to barely make something. How are we supposed to make all that money? Some of us actually have schoool/university/work to attend to you know, we can't stay all day grinding, and having prices that are worse than almost all the various pay-to-win games on mobile should give people a clue, expecially when we already paid 60$ to get access to the game in the first place. You can buy a fast travel post for your camp, unlocks at level 65 and costs 112 gold bar. One hundred and twelve, yes. You think you'll have 112 gold bars in level 65? To earn one gold bar it takes (in average according to some sites) 8 hours of grinding so it'll take 896 hours just to buy the fast travel post. That's so extreme that I I really can't understand how someone can defend that? It's so far past the usual "want everything right away" argument that it really can't be described, lol. There's no point in money re-balancing. The core of this game is corrupt from the get-go. The fact that anyone can buy gold with real money automatically nullifies any integrity of gameplay. So, just play to have fun. Steal and glitch as much as you can. it's the wild west. So I just did a mission that paid over $100 then a treasure map lead me to another $150. Have you guys been doing the yellow marker missions? You need to be doing them to earn some cash. I’m about to do the last of some Marshall’s dudes mission, I’ll let you know the payout. Have you guys been doing the yellow marker missions? You need to be doing them to earn some cash﻿. Unfortunately that sugar train is severely limited and you only get paid for doing those missions once. 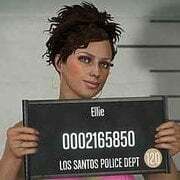 GTA Online lessened your payout for completing missions after your first playthrough but RDRO completely removed them. There's essentially no financial incentive to help your friends complete the story missions you've already done. Come back tomorrow when all you have to do are stranger missions for $3.96 a pop. The useless camp that's so useless I wonder why you even need to pay utility costs for it. Oh yeah, so your money will be wasted. They need it to keep the campfire alive. “Kill em and kill em all”, a Horley mission just paid me $300. I’ve nothing to spend it all on!!! Is this correct? 112 bars!!! Wow. There really would be no words for that. I’ve got a horse and a gun and bought some ammo. Sorted. I don’t want to own everything the game has to offer by Christmas though so am glad that a lot of things are level locked and expensive. My fav time in GTA was working towards getting something. Once I could buy whatever I wanted the shine kinda came off. If this gives me as much game time as GTAO I’ll be playing for years to come, plenty time to get what I want. I'm going to reply briefly. "I’ve got a horse and a gun and bought some ammo. Sorted." I mean, if you want I spend the rest of the game as a noobie, then I guess you can make that argument, but if you plan on spending a lot of time, that playstyle is inadvisable. You aren't quite sorted yet, I'd recommend getting a short scope, improved iron sights and improved rifling on your carbine repeater asap as you need to be useful in missions and it will also help in PvP. Better weapons are also required for hunting, you will also need a varmint rifle and bow for smaller animals, you will also need a fishing rod to fish. You actually start with a horse and a few guns. You probably have the cattleman revolver and the carbine repeater (unless you have the special edition free weapons), which are conveniently the worst weapons in the game. So you aren't suited in the long run. The starting horse and saddle also have terrible stats. "Not really found a need for more cash yet so I’m just playing the game how I want." You will actually need more cash for the following items. (Saddles have stats btw that affect core drain, regen rate and the stats of your horse so they are extremely important). "Folk are complaining cause they can’t own everything within the first few hours of release. Crazy!!" That's not what anyone here is complaining about, unless you can actually quote where someone said this. "I don’t want to own everything the game has to offer by Christmas though so am glad that a lot of things are level locked and expensive." By Christmas or January, it would be nice if the game had actually had it's first online dlc. I understand where you are coming from, but you will barely have anything by Christmas with the current pay outs. Yeah but can you buy? If you’ve done them all you must be sitting on plenty or have a,ready bought everything no? This is actually a bug and is not intended. The correct payout for this mission is $2-3, as this is what the people in your group will have been paid. This mission in particular is randomly rewarding players massive money so I recommend grinding it. That’s weird then cause my friend did it yesterday and got paid the same I think? Have you done all the Horley missions and only got paid a few bucks a time? My experience is that the more of them I do the payout is increasing each time. The treasure map? That a bug too? I think people need to own all guns before the end of the beta. So the guns can be tested properly by players and potentially adjusted. This is a beta, the whole point of a beta is to test content for bugs, performance issues, glitches, and balancing, before full release. What's the point in making all content take months to get during a beta period when stuff needs testing for various reasons. When the sole purpose of the beta is to test everything before the online experience is "finished". Some players are thinking "red dead online is finally out" but forgetting, no it isn't, this is the beta for the online game. You should not be thinking long term right now in terms of your progress. Things like this won't be fixed before official launch because nobody has been able to adequately test them. This is a beta, it's the testing and feedback period of the game. People need to be able to get the content to test it and give feedback. If a weapon is too overpowered, it needs to be adjusted before launch. If a particular breed of horse dies when it enters water due to a glitch, it needs to be adjusted before launch. People need to test these things prior to launch, during the beta stage so the actual online experience can launch with less bugs. Please understand this! Treasure maps are random drops. So you got lucky. Think of them like exotics on Destiny. The payouts for some missions are currently bugged. You cannot get paid that much for repeating the same mission. When you replay a mission you will only get paid tiny money. Its unclear whether the payout you got is the actual intended payout and people are getting the low repeat payout because the game isn't recognizing that they haven't done the mission before due to a bug. For example, the same mission you did. Where you kill the guy in Fort Mercer, I got paid $230, my friend who was the host, and has never done the mission before only got paid $2.7 for it. So payouts may actually be bugged. Thing is I only knew about the treasure map cause of my mate. We both got paid the same. He did it yesterday , me today. Did we we both get lucky? I know a lot of the missions pay sod all, I’ve done loads of them. I’m just saying that it’s not all bad. I’m only on level 11 and own everything that I want am still sitting on $300. Can confirm no treasure map for me, same mission from the Horton guy, the one where you meet him in Armadillo correct? Then take out the guy at Fort Mercer while wearing the metal helmets? My payout was $230, repeating mission gave me $3. My friend got even less than I did for replaying on his first time. I would be fine if these were the actual mission payouts and were consistent, however if yellow missions are finite and cannot be repeated I can see this being a major issue in the long run as we will eventually run out of yellow missions. Hopefully there is just a timer on mission repeats. Kind of like a once a day thing so you can play the same mission the next day and get paid again, rather than it being a case of once you done them you don't get paid ever again. So it sounds like we get a decent payout the first time then next to nothing for playing again? Sounds fair enough. Mind that Horley says he’ll give us work to get us on our feet. Maybe this is it and once you’ve done his missions they figure you can go it alone and earn your keep? I dunno. I’m just not getting all worked up about how to make money quickly when the game is barely out. I’m having s blast and now that I’ve stocked up on ammo, provisions and horse care stuff etc I can do what I want. "Kill Them, Kill them all" pays over $200?!?!? I've done that mission 3 times and never made more than $5.00! Yes, guns are permanent so they’re an investment, that’s true. Don’t have to buy all of them. And in a way, I like it that things are expensive or locked behind rank requirements. But when you’ve played a few missions and gotten 5 dollars for them you sort of start to visualize the huge amount of grind necessary to buy stuff. of things can change and they definitely will and maybe we shouldn’t critizise it too much just yet. I’ll just try and keep enjoying the gameplay together with my friends while first of all I’m going to save up for a consistent posse. I was told that around the time this player was 75% into the available story missions, one came up that paid over 100$. I haven't reached it yet, but I wouldn't mention that if it wasn't someone I trust. I'm not saying the payouts are good anyway, or I want microtransactions - I'm just hearing some people say they're paid a dollar, others getting a lot more. There has to be something up. I'm not doubting him. I'm doubting the guy who told him that. The deer I killed was a Pronghorn buck, perfect condition. I didn't skin it - just stowed it on my horse, took it to a butcher and sold it. Made around 6$. The rest of the money I made was from deathmatches. I'll see if I can make much tonight, or if it tightens up. Auto-correct messing with my writing.